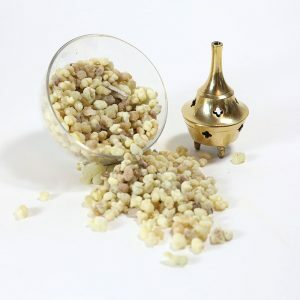 Frankincense is an aromatic resin obtained from the species of ‘Boswalia’ trees native to Ethiopia, northern Somalia, south-western Oman and southern Yemen. 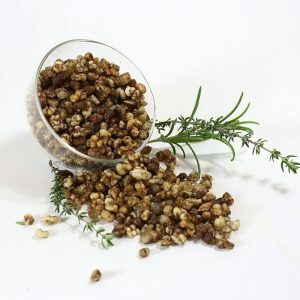 There are various grades depending on soil, climate, the species of Boswalia tree and when it is harvested. 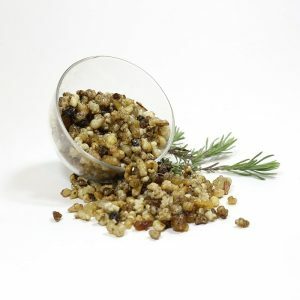 Harvested raw frankincense is tapped from the small, drought-hardy trees by slashing or stripping through the bark. Pearly white resin bleeds out and hardens on the trunk into semi-opaque drops or ‘tears’. 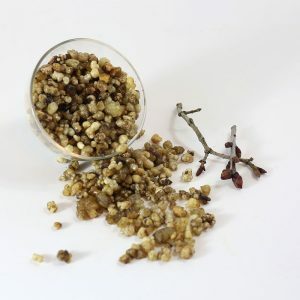 These are scraped off, dried and then sold as frankincense. This is done two or three times a year with the final cuts producing the best tears. 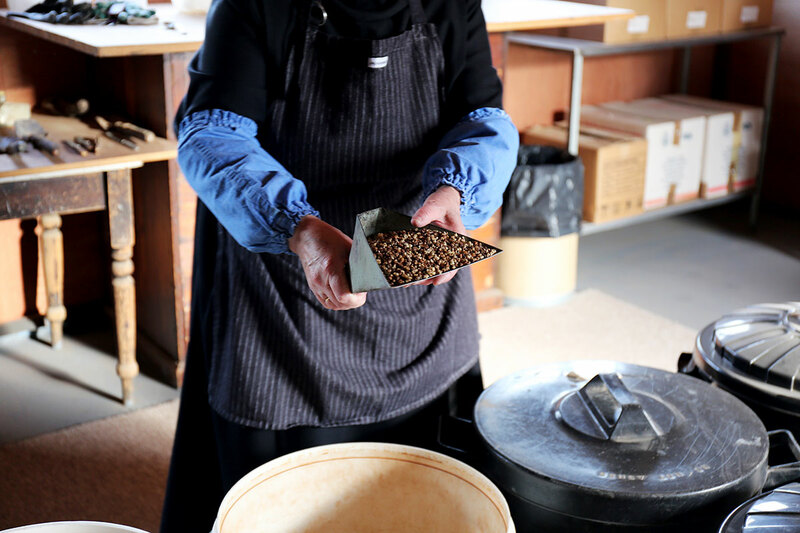 Around 3kg (7lb) of resin can be extracted from a single tree. The more opaque the resin the higher the quality. 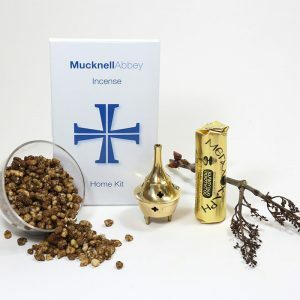 The earliest archaeological evidence for incense comes from ancient Egypt, where long-handled, spoon-shaped incense burners, dating back thousands of years, have been discovered. The fragrance was thought to please the Gods and drive away evil spirits. Today it is used in churches and cathedrals world-wide, symbolising our prayers being taken up into heaven. 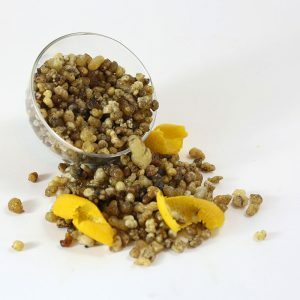 Frankincense is the main ingredient in all the recipes and when blended with myrrh, cassia and various natural oils, produce a unique fragrance when burned and constitute the blends we currently offer for sale. 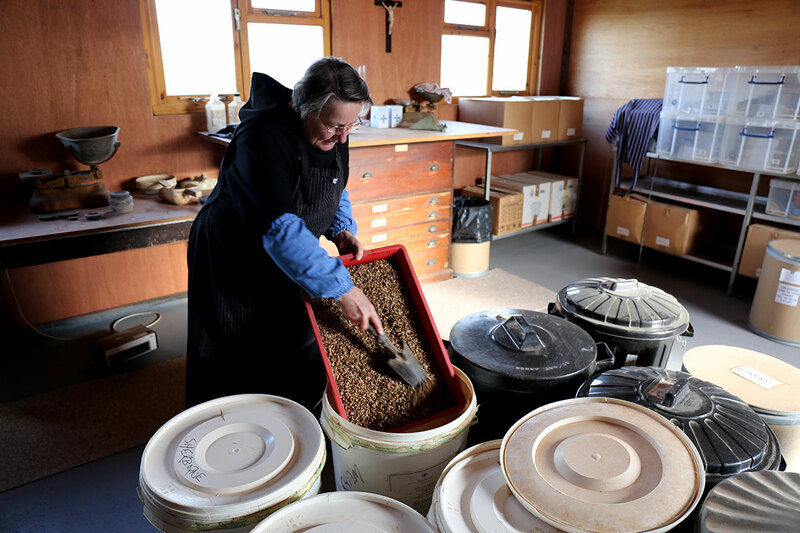 Production of incense in this monastery began in the latter part of 2004 when we were at Burford Priory, using the tried, tested and popular recipes which had been passed on to us by the monks of Elmore Abbey, formally Nashdom Abbey. Glastonbury and Evesham tend towards producing a rich, sweet aroma, while Sherborne has a delicate “spicy” hint to it, and Rievaulx produces a gentle “woody” aroma. Malmesbury has a hint of lemon freshness. 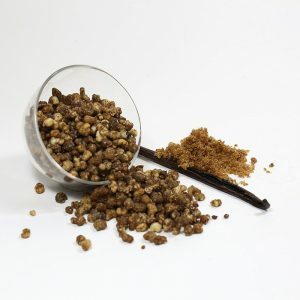 Valle Crucis is pure, high grade frankincense with no added oils; its aroma is unique, neither sweet nor spicy; some churches use this during the seasons of Lent and Advent.